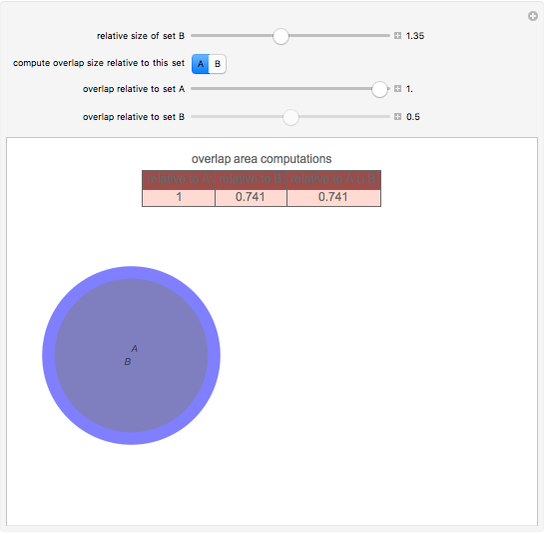 A Venn diagram is commonly used to depict the relationship among sets. 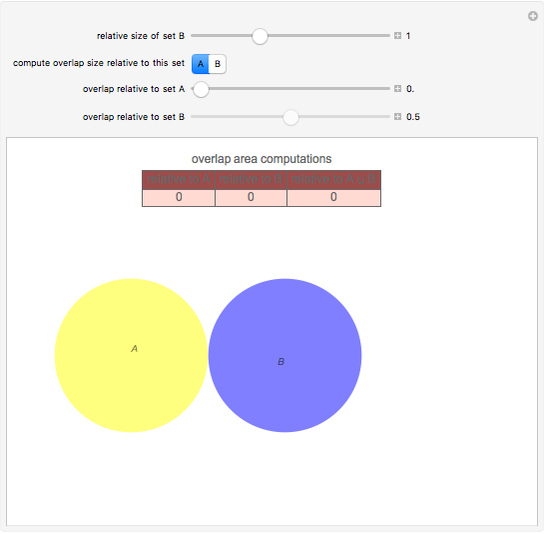 It is difficult, however, to draw freehand a Venn diagram that accurately captures a relationship between the cardinality of the sets and their area of overlap. This Demonstration produces the "perfect" Venn diagram for two sets and where you set the cardinality ratio between the two sets and the area of overlap between them. 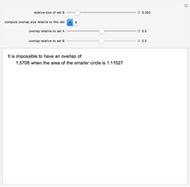 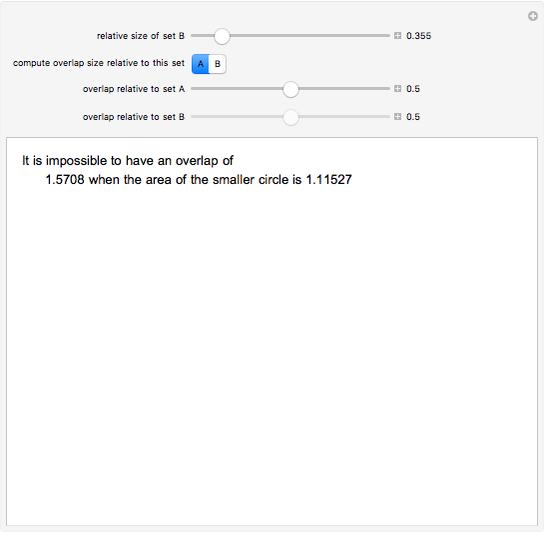 You can choose whether to compute the area of overlap relative to or to . Seth J. Chandler "The Perfect Venn Diagram"